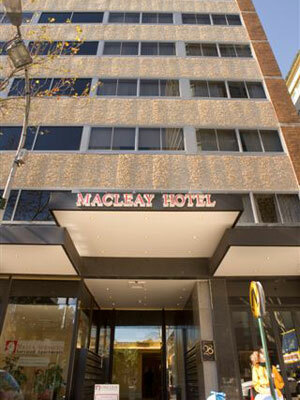 Macleay Serviced Apartment Hotel is located in Sydney's fashionable Potts Point in the Eastern Suburbs. 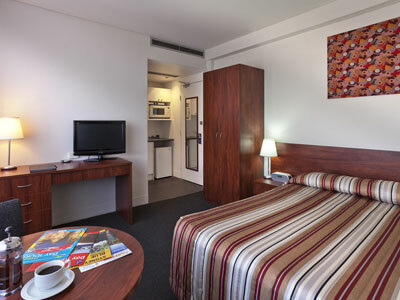 Sydney Airport is around a 30 minute cab drive from the hotel. 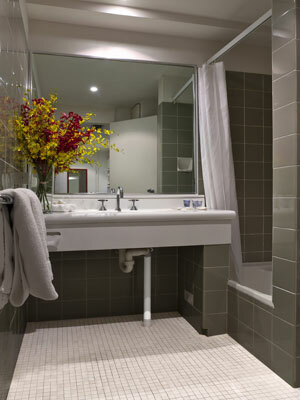 Macleay Serviced Apartment Hotel is ideal for those looking for an overnight break from flying in a great cosmopolitan area, a largely gay and lesbian community with loads of bars, upmarket restaurants and café's. 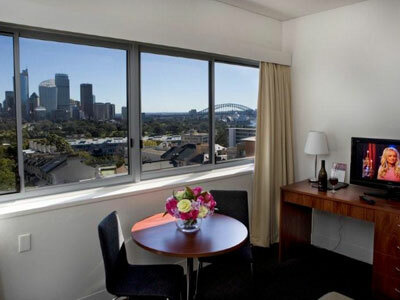 Macleay Apartments is well situated to explore Woolloomooloo, Royal Botanic Gardens and The Opera House and Harbour Bridge. Walk for 10 minutes through The Domain and you will find yourself in the city centre. 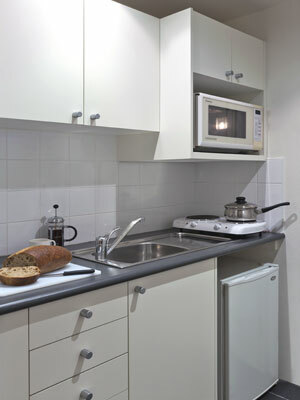 Macleay Apartments offers a selection of studio apartments, many with harbour views. 24 hour reception and outdoor pool are also available. Breakfast in the morning is the least of your worries with literally hundreds of cool cafes on your doorstep. There are numerous airport shuttle services from the hotel, as well as cabs and the underground train services available. 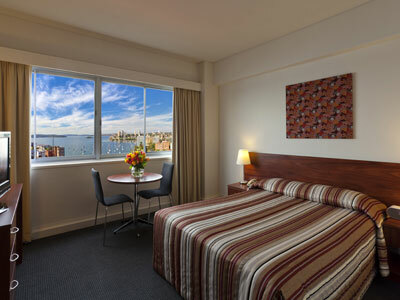 Directions to parking: 2 levels of secure parking available underneath the Macleay Hotel at a charge of $30p/night - except Saturdays where the charge is $40 per night with multiple entries and exits permitted. The entrance is located next to Charlies Hairdressing Salon with a neon sign that says "Macleay Parking", and is accessible using the driveway with a green rollerdoor. Press the intercom button and we will open the rolladoor. 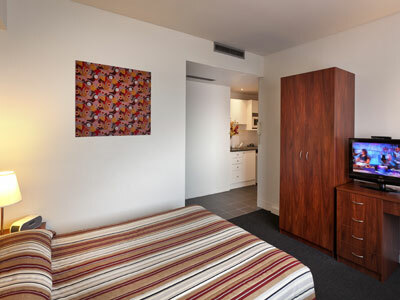 Park where it says "Hotel Parking"
Macleay Serviced Apartment Hotel is 8 out of 10 based on 2 customer votes & Yelp reviews.